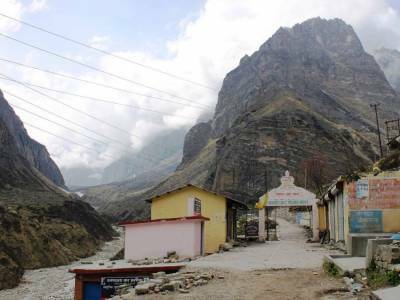 Mana is the located at the end of the National Highway 58, beyond the holy temple of Badrinath, in the Chamoli district of Uttarakhand. It is the last Indian village before Tibet and is situated at a height of 3200 meters. 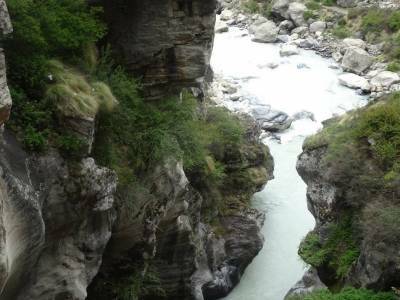 Many people believe that the trail near Mana reaches up to heaven and it is the spot where the Pandavas were last seen before they were en route to heaven. 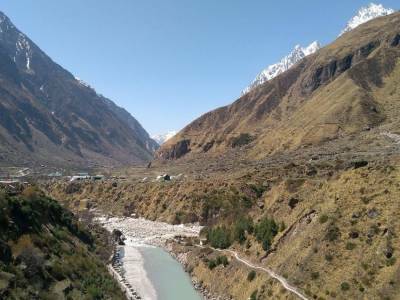 The village has a very peaceful setting with the backdrop of the Himalayan range and the river Saraswati flowing by. The little village is inhabited by Mongol tribes who reside in small cabins that are beautifully decorated. Mana is famous for the woollen garments made from sheep wool. The tracks and trails near Mana are ideal for trekking due to which a number of trekking games are popular. Trekkers usually opt for Vasundhara and Satopanth as the Mana pass is not open for civilians but it can be specially issued by the administration system. Apart from enjoying the scenic beauty or trudging through the wandering paths, there are many beautiful places to visit in and around Mana. The view from the Neelkanth peak, at an altitude of 6597 meters, is absolutely breathtaking as tourists continue to flock to the peak. 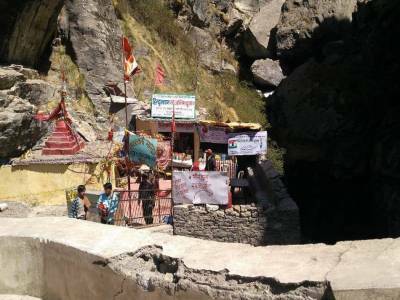 The Tapt Kund is believed to be a healing spring which cures many ailments and skin problems. The Vasundhara waterfall is a major attraction from both scenic as well as mythological point of view. The Badrinath temple can be clearly observed from the Vasundhara falls. 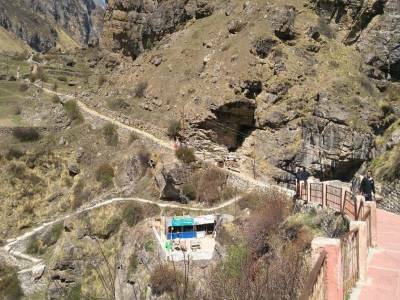 The 5000 years Vyas Gufa is yet another place which fascinates lots of tourists as it resembles the caves as depicted in the famous Vedas. It is presumed that Ved Vyas used to live in the cave while he was composing the four holy Vedas. Though it is a little village, yet it houses a lot of interesting places and facts which appeals to travelers even today. Get quick answers from travelers who visit to Mana Village.